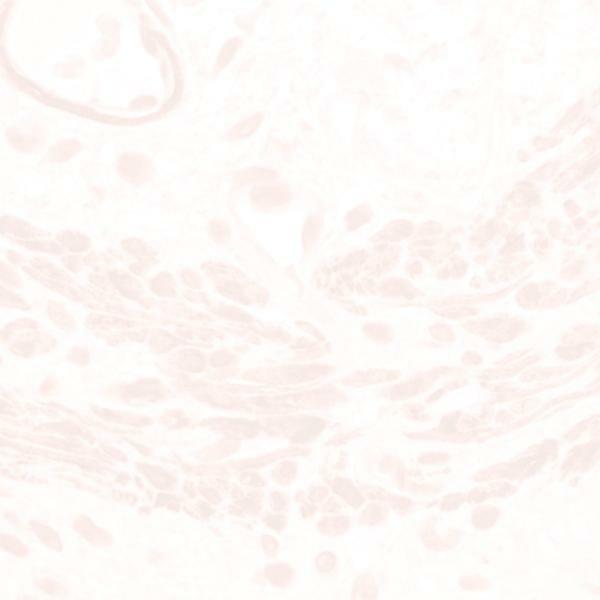 This monoclonal antibody reacts with the CD15 antigen, a triasaccharide structure, 3-fucosyl-N-acetyllactosamine, also known as X-hapten. This antigen is expressed by Reed-Sternberg Cells, granulocytes and is also found in a number of normal tissue and cell types. In Hodgkin's Disease, positive staining is seen in Reed-Sternberg Cells, granulocytes, rare epithelioid histiocytes and occasional endothelial cells and/or erythrocytes. Reed-Sternberg cells stain selectively to show dense reaction products at a paranuclear site, as well as on the cell surface (variable). Granulocytes, mostly eosinophils, and tumor cells of granulocytic sarcoma, stain strongly, but with a diffuse cytoplasmic staining pattern, easily distinguishable from positive Reed-Sternberg cells. Tumor cells of non-Hodgkin's lymphoma, malignant histiocytes, monoblastic leukemia, interdigitating reticulum cell sarcoma, histiocytosis X, and reticulohistiocytoma are negative.